«I never thought I could get so excited about cables», said former Minister of Transport and Communications Suvi Linden at the Arctic Broadband Summit in Oulu on Wednesday. The conference discusses broadband development and its implications for the Arctic societies and businesses. A submarine broadband connection linking Europe and Asia via the Northeast Passage is a hot topic in Finland these days. «In digital economy data cables are the new trading routes», says Jukka-Pekka Joensuu. His company, Cinia, launched a fiber-optic link under the Baltic Sea connecting Finland and Germany. 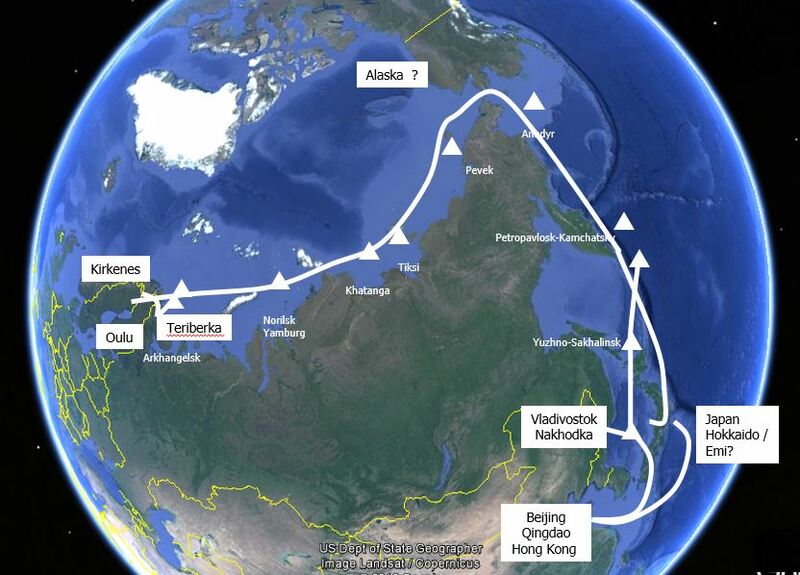 Joensuu’s new passion is the Arctic Connect project, a plan for to build a secure subsea cable connection from Kirkenes and Teriberka all the way to Hokkaido, Vladivostok and Beijing. Data flow between Europe and Asia is increasing. The new connection would help bits travel faster and decrease latency, the delay before transfer of data begins. For security, we also need redundancy; alternative links so that there is always another connection available if one does not work. If the new broadband connection is built, it will shift the geographical center of gravity of data traffic between Asia and Europe. Stanislav Dimukhametov of ProArctic Russia explained that as industries in the North are going through a digital transformation, better and faster connections are badly needed. Unfortunately, digital highways are expensive to build in Arctic conditions. Khaled Sedrak of NxtVn said that the traditional logic of telecommunications business does not apply to connections built in the Arctic regions and seas. The Arctic Economic Council organizes the Top of the World Arctic Broadband Summit. In addition to broadband development, the panels discuss themes titled Interconnected Arctic, Competent Arctic and Safe Arctic.